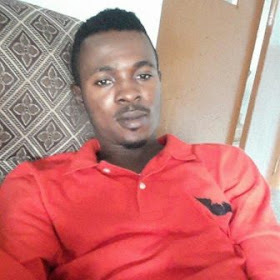 The Lagos State Police Command has dragged another suspected fraudster, James Ikechukwu Nwagalezi, 28, before a Lagos Magistrates’ Court for allegedly conniving with Okoli Nmesoma already facing trial and others still at Large to hack into the mobile app account of Eko Bank Plc. It was gathered that the two unlawfully withdrew N207m which they shared. Police told the court that the bank’s management reported the fraud to the Divisional Police Officer (DPO) in charge of Ikoyi Division, Lagos, SP Tijani Mustapha who directed his team led by Inspector Tope Ijatuyi to fish out the suspects involved in the alleged scam. A police source alleged that Nwagalezi was arrested after several months of manhunt, adding that his arrest brought to six the number of suspects arrested and charged to court by SP Mustapha over the theft. Nwagalezi from Imo State was charged before the Igbosere Magistrates’ Court, Lagos on a four count charge of felony to wit: unlawfully hacking into a bank account and stealing. Police Counsel, Inspector Jimoh Joseph informed the Court in charge No A/37B/2018 that the accused and others still at Large committed the alleged crime on 27 April, 2018 at Igboelerin, Okokomaiko, Ojo,Lagos. Joseph told the Court that Nwagalezi connived with Okoli Nmesoma from Abia State and others still at large to unlawfully hacked into Eko bank mobile app arquire suspence account No 9883204199 with phones and computers to withdraw N207m and transfer the money to about 162 accounts from where they withdrew the money and allegedly shared it. He said that the offences committed were punishable under sections 411, 387, 287 and 325 of the Criminal Laws of Lagos State, 2015. Nwagalezi pleaded not guilty to the alleged crime in the open Court and Magistrate B.I. Bakare granted him bail in the sum of N1m with two sureties in like sum one of whom must be a community leader. Bakare adjourned the case till July 4, 2018 for mention and ordered that the defendant be kept at the Ikoyi Prison, Lagos till he perfected the bail conditions.